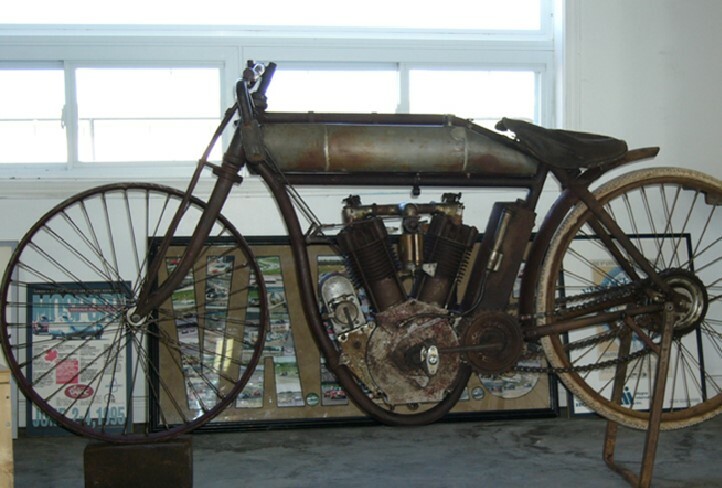 was described as a 4 hp machine, based on the calculation of taxable horsepower of the time. 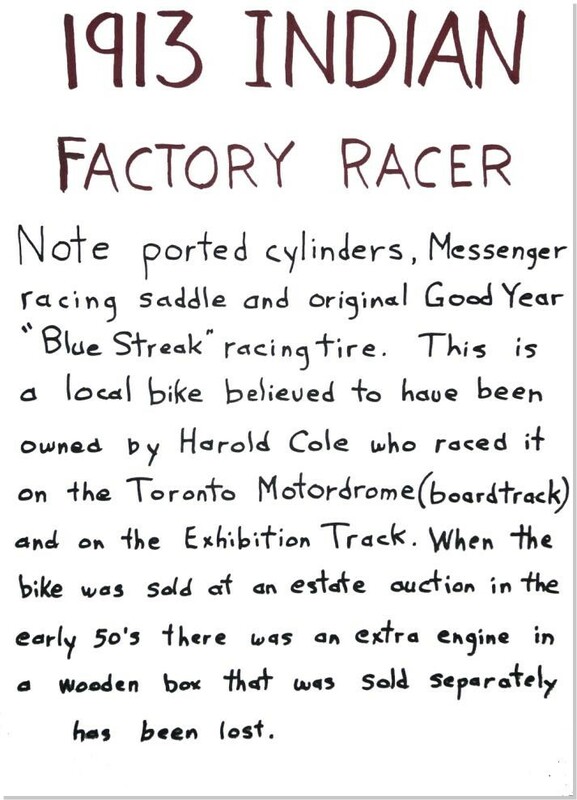 Harold rode the new Yale straight from the dealership to Exhibition Place in downtown Toronto where there was a half-mile dirt oval he could practise on. a solo road trip to Buffalo and back. He was ambitious and eager to put on the miles. 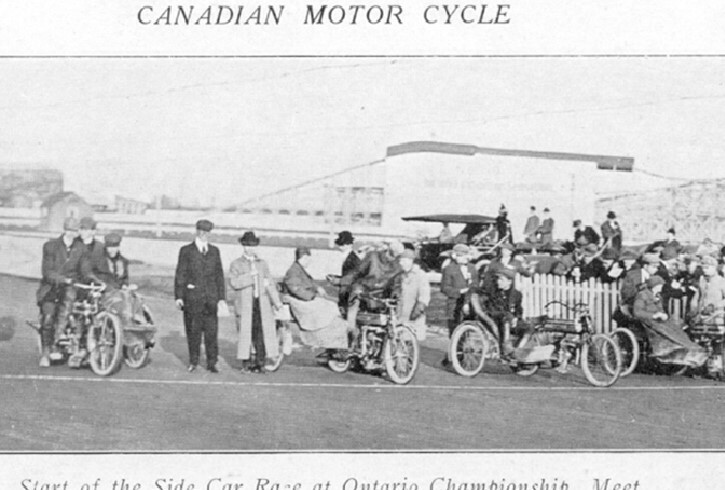 On July 1, 1911 Harold finally started his first event at Waterloo, Ont., and handily won both the heat race and three-mile final. 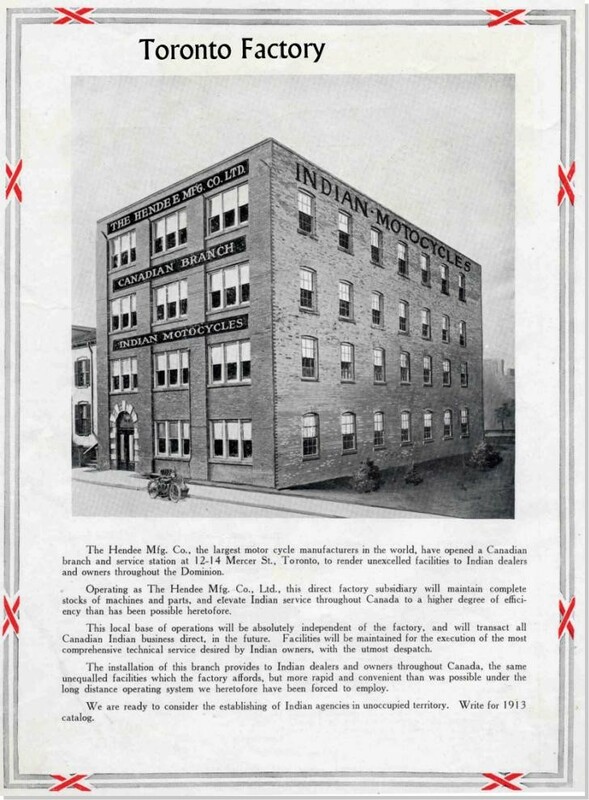 For his debut on the Exhibition Track in Toronto a week later Harold had the loan of a 5 hp factory Indian which two years earlier had set a record of more than 1,000 miles in 24 hours. 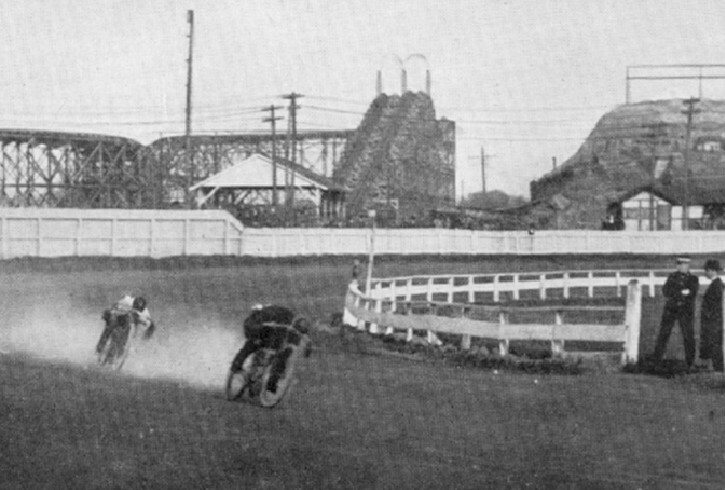 He beat American rider Bill Staudt on a factory Reading-Standard two times out of three and became an immediate sensation for the Toronto crowd. Commeford Cup and the Dominion championship. 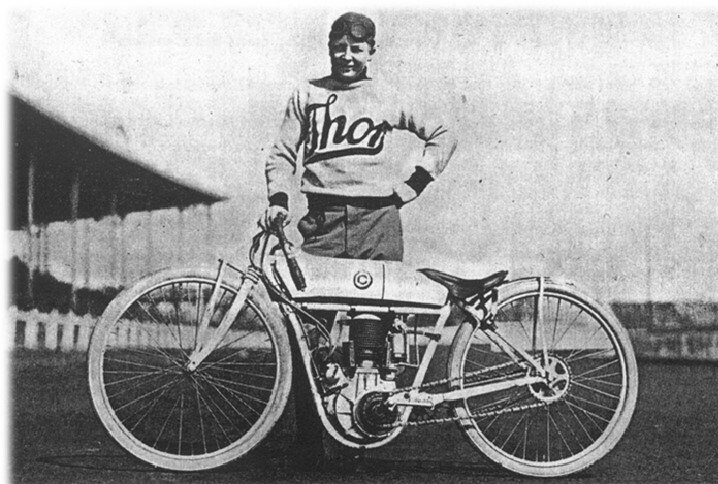 He finished almost a lap ahead of the local Indian dealer Frank Kipp and broke records for a half-mile dirt track from one to 25 miles. 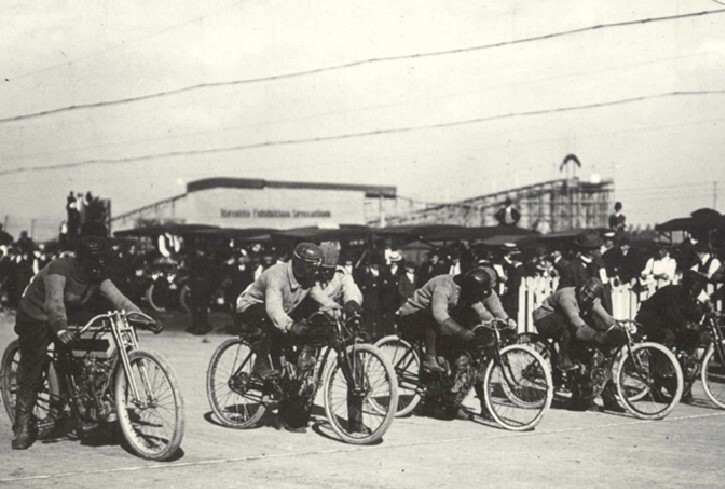 Club to race exclusively in their events and he won a similar amount in prize money, a useful sum for the time. 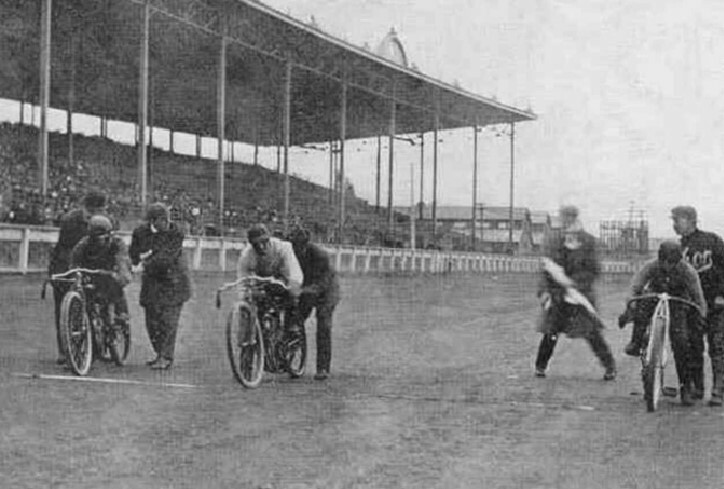 was a quarter-mile circuit at Greenwood Ave. and Queen St. built of hardwood strips and banked at a 60-degree angle, equipped with powerful lights and seating for 7,000 spectators. It was sold out on opening night, although history records Harold Cole racing there only infrequently. Devastating changes were soon coming, and the outbreak of the First World War in August put an end to such activities. We have no further record of Harold Cole racing, though he did remain involved in motorcycling until his death in the 1950s.